The parent company of the Detroit Medical Center disclosed the investigation in a federal securities filing Monday. 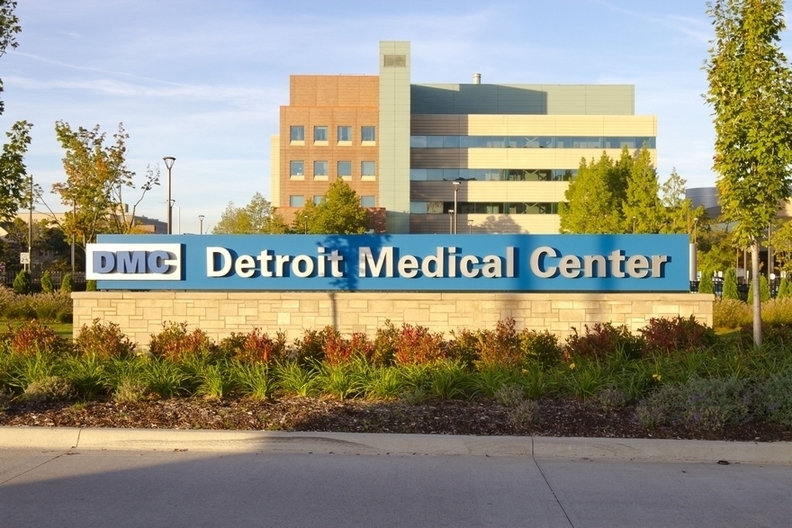 The U.S. attorney's office in Detroit is investigating possible federal civil violations of anti-kickback, false claims and self-referral laws at Detroit Medical Center, according to a federal securities filing Monday by Tenet Healthcare Corp., DMC's Dallas-based parent company. Last August, Crain's reported that 14 layoffs of advanced practice providers could be tied to concerns that DMC and Tenet had that services the nurse practitioners and physician assistants were delivering to private doctors might run afoul of federal laws designed to prevent improper patient referrals to the hospital. The status of that investigation isn't known. A spokesperson for the U.S. attorney's office didn't respond to requests for comment. Tenet also reported to the U.S. Securities and Exchange Commission that the U.S. attorney's office made a request for documents to Tenet DMC in the fourth quarter of 2017 related to issues raised in the Crain's article, published Aug. 16. It is not known the date of the request from the U.S. attorney's office or when the investigation began. DMC officials referred comments to Tenet corporate in Dallas. Tenet spokesman Dan Waldmann told Crain's the company could not comment beyond what it said in the SEC filing. He said Tenet would provide updates on the issue in future filings. "We are cooperating fully with the DOJ" and the U.S. attorney's office in Detroit, said Waldmann, Tenet's senior vice president of public affairs. At issue is a settlement agreement Tenet signed with the Department of Justice tied to allegations at two Atlanta-area subsidiaries. In 2016, Tenet signed a nonprosecution agreement with the Department of Justice and paid a $514 million fine related to resolving criminal charges and civil claims over a scheme by those subsidiaries to pay kickbacks in exchange for patient referrals. The NPA runs through Feb. 1, 2020, and covers all Tenet's 74 hospitals, including DMC, and other holdings in the U.S.
Tenet said in its 10K filing that the company could have "breached the terms of the (non-prosecution agreement) by failing to promptly report 'evidence or allegations of actual or potential violations of the Anti-Kickback Statute' to the DOJ as required by the non-prosecution agreement." Tenet has acknowledged to the SEC that it "did not promptly report that Crain's Detroit Business had published an article in August 2017 alleging that Detroit Medical Center's termination of the employment of 14 nurse practitioners and physician's assistants was due, in part, to the company's concerns that their prior employment did not comply with the Anti-kickback Statute, the Stark law and the False Claims Act." The three federal laws regulate various aspects of hospital billing and attempt to prevent improper payments or other inducements to doctors for patient referrals. The False Claims Act imposes liability on people or companies who defraud governmental programs such as Medicare and Medicaid. Federal fraud investigators are highly attuned to any arrangement hospitals might have with physicians that would lead to paying doctors for patient admissions or diagnostic services performed by the hospital, health care lawyers have told Crain's. For example, blatant violations would be a hospital paying fees for admissions or services, but could also include offering doctors office leases at below market value, or free or discounted services like advanced-practice providers' coverage of private doctors' patients. Tenet's SEC filing also acknowledges that it did not report to the DOJ "a document request from the U.S. Attorney's Office for the Eastern District of Michigan and the Civil Division of the (Department of Justice) requesting that the company produce documents related to a civil investigation of DMC for potential violations of the Stark law, the Anti-kickback Statute and the False Claims Act related to the allegations contained in the Crain's article." Waldmann declined to comment on when Tenet knew of the federal investigation or whether there were concerns about potential civil violations related to the use of the advanced practice providers. At the time, Tenet officials told Crain's the layoffs were part of a normal evaluation of health care worker efficiency and department needs. Tenet officials told Crain's they were unaware if any of the advanced practice providers performed services for private doctors that violated the company's anti-fraud policies and denied the layoffs were connected to any concerns about potential federal investigations. A Tenet spokesman cited Tenet policy that hospital-employed non-physician providers are prohibited from performing "any service for which a physician is responsible" in which "any physician receives payment." The layoffs saved DMC an estimated $2 million per year in salaries and benefits. But six sources who requested anonymity told Crain's last summer that DMC and Tenet officials had been concerned that the staffing model it had been using for years to allow advanced practice nurses to service private practice physicians at some of its six hospitals could potentially run afoul of federal anti-kickback, false claims act and Stark law provisions. For example, if private physicians also billed for inpatient services they didn't perform themselves and DMC-employed advanced practice nurses provided the services free or for less than market value to the doctors, the practice could be viewed by federal fraud regulators as an inducement for patient referrals, health lawyers told Crain's. Tenet said it has hired an outside law firm to review the company's compliance with its reporting obligations. It is not known when the compliance law firm was hired, but one health lawyer, who asked to remain anonymous, said it probably occurred when Tenet signed the NPA in late 2016. The Justice Department informed Tenet this year that it will wait until a retrospective review is complete before making a decision on possible punishment for the breach in reporting. Waldmann declined to say whether Tenet had the outside compliance law firm review DMC practices for compliance with federal statutes. Sources told Crain's such a review happened in early 2017, after Tenet signed the NPA. But the DOJ also told Tenet that it "does not intend to prosecute the company or (DMC) for the underlying conduct that gave rise to the (non-prosecution agreement) for purposes of enforcing the breach provision of the NPA." The DOJ said it will consider other remedies "short of prosecution" if it determines there were violations of federal law. Tenet said it believes that the review and discussions with the DOJ will continue into the second quarter and does not expect that the remedy for the NPA breach will have a material effect (on revenue, profitability or stock prices) on the company. Under the terms of the NPA, Tenet has agreed to cooperate with the government's ongoing investigation and enhance their compliance and ethics program and internal controls. Editor's note: This story has been updated to clarify that Waldmann declined to comment on whether the company had concerns about compliance or whether a review by outside counsel was conducted at DMC. "U.S. attorney investigating DMC over possible federal anti-kickback violations" originally appeared in Crain's Detroit Business.